CEO Bent Urup with the local major Lene Jensen officially marking construction start. 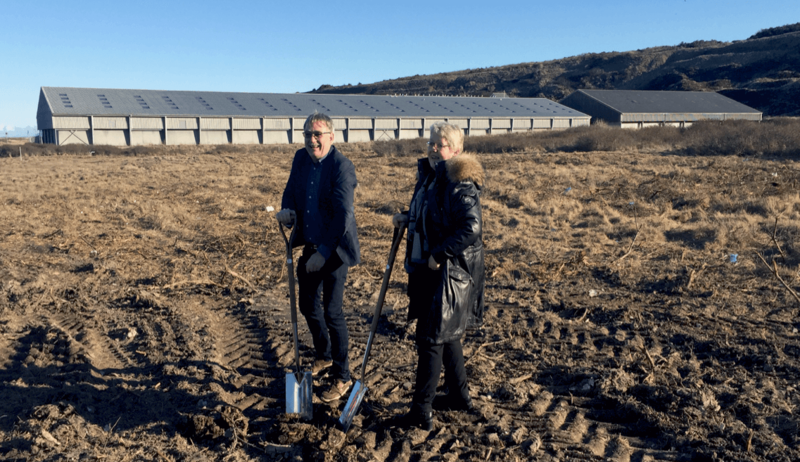 February 25th marked the official start of construction for our new facility, Sashimi Royal in Denmark. Danish environmental authorities and the major were among the key participants of approximately 50 people. Sashimi Royal is scheduled to start its production of Yellowtail Kingfish in December 2016. It will be an international pioneer in large-scale commercial production of kingfish in recirculating aquaculture systems (RAS). Meanwhile, our fingerling facility Maximus is now increasing its capacity with the construction of a new and significantly larger broodstock facility for its kingfish. 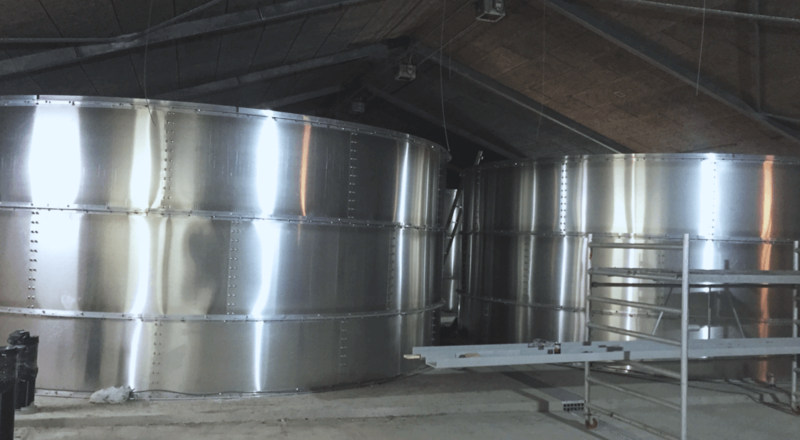 A total of four new production tanks, each with its own independent RAS cycle, are being built. Construction will be complete in April.